Signage says a lot about your business. The quality and finish send messages to your clients that go beyond just words alone. Let’s find out how. For business interior signs in Elgin, Illinois contact us or give us a call at (630) 289-7082. We serve the entire Chicago area. 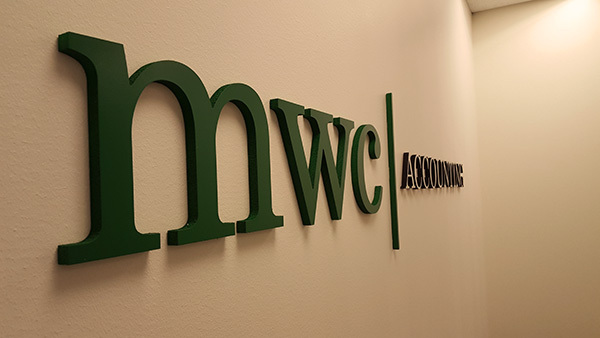 The MWC logo is no-nonsense, just as you would expect from a trusted accounting firm. 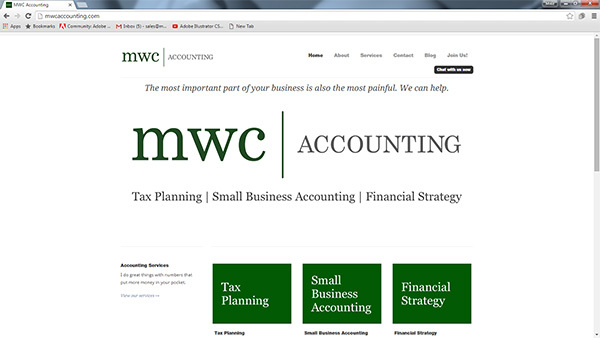 Plus the bold lettering leaves no doubt about the capability of the accountants that work there. Lots of white space makes the message easier to digest and suggests classy simplicity. A client that found out about MWC on the web then comes to the office for a visit. 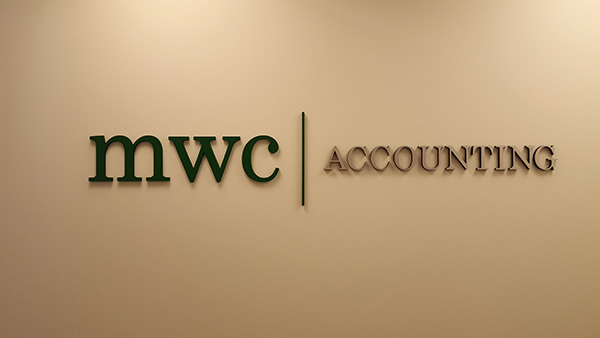 Here the firm’s logo takes on three dimensions with clean lines and lettering to make a statement. Precision and seriousness are still the focus points, however, the logo retains an inviting feel as well. Raised lettering is especially effective in making interior signs and logos stand out in people’s mind. On the other hand, when you are greeted with a smile, clean lobby, and impeccable signage, you feel safe. And trust creates business conversions and conversions into repeat customers. So transmit your message and your business personality with a well-designed logo. Then make it into signage that becomes a true sales ambassador. Get great interior signs in Elgin, Illinois contact us or give us a call at (630) 289-7082. Serving the entire Chicago area.